MoreAttorney Holly Mullin represents individuals in all legal matters affecting the family, including divorce, separation, post-judgment matters, paternity, child custody and placement, support issues, and restraining orders. Attorney Mullin is a trained mediator and is certified in Collaborative Law. Whenever possible, Attorney Mullin takes a low conflict approach to problem solving, which saves time and money, and decreases the emotional costs of family law matters, especially when children are...Attorney Holly Mullin represents individuals in all legal matters affecting the family, including divorce, separation, post-judgment matters, paternity, child custody and placement, support issues, and restraining orders. Attorney Mullin is a trained mediator and is certified in Collaborative Law. Whenever possible, Attorney Mullin takes a low conflict approach to problem solving, which saves time and money, and decreases the emotional costs of family law matters, especially when children are involved. She does understand, however, that certain cases are inherently high-conflict and she is prepared to provide compelling and zealous representation in such matters. 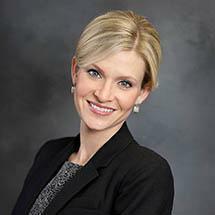 Before entering private practice, Attorney Mullin clerked for the Honorable Maxine White, Milwaukee County Family Court Judge, she served as a mediator in Milwaukee County Small Claims Court, and she worked at the Guardian Ad Litem office of Milwaukee County Children's Court as an advocate for the best interests of children. She demonstrates her commitment to the community by providing volunteer legal services to a variety of local programs, including the Milwaukee County Family Law Self Help Clinic, Marquette Volunteer Legal Clinic, and Kids Matter Inc. Attorney Mullin is committed to providing sound legal advice and acting as a strong advocate for her clients. By focusing her practice on family law, Attorney Mullin is able to remain current on legal trends and provide her clients with comprehensive legal representation. She understands that her clients may be experiencing a difficult and emotional time in their lives and she strives to provide personalized representation to fit each client's individual needs.